We have had so many requests for this Cross over the past year! This is such a powerful and special Cross that we are blessed to make. We are posting 33 at a time. Please follow our Facebook page for updates. *Each one is going to be slightly different, but close enough not to list each one at a time. 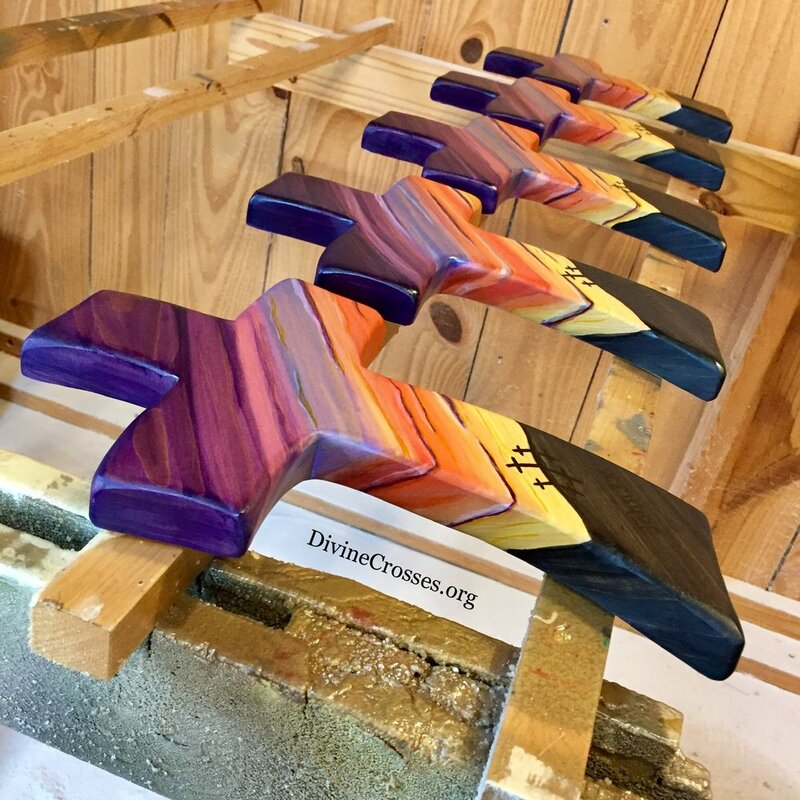 Yours will certainly be unique since we can’t paint the same design twice and the grain and angle will change.